December 30, 2010  Jean Toomer received much acclaim for his portrait of African-American life in the early 20th century in his 1923 book Cane. The Harlem Renaissance author wrote vivid vignettes in a series of poems and short stories in the book. Next week, the book will be re-released with a new introduction written by Harvard scholar Henry Louis Gates and Emory University scholar Rudolph Byrd. In the 70-page introduction, the two scholars write that Toomer, a light-skinned black man of mixed heritage, chose to live much of his life as a black man passing as white. NPR's Robert Siegel talks with Byrd about the life of Toomer. December 29, 2010  In politics, the firing of Shirley Sherrod, the rise of the Tea Party and a wave of Black Republicans took center stage. Outside the beltway, many African Americans questioned the term "post-racial." Ta-Nehisi Coates, senior editor for The Atlantic, talks about what changed for black people in 2010. December 29, 2010  For many women, a hairstyle is more than a personal image choice. It's often both personal and political, and has economic implications. In Tell Me More's regular "Beauty Shop" segment, host Michel Martin speaks with a panel of women about the politics of hair. Weighing in on the discussion is Michelle Breyer, founder of NaturallyCurly.com, Danielle Belton, author of the blog, Blacksnob.com, and Florida TV reporter Rochelle Ritchie. December 26, 2010  African-American Studies Professor Keith Mayes, of the University of Minnesota, reflects on the changes to how African-Americans, and Americans in general, view the seven-day cultural holiday Kwanzaa, which starts on Sunday. Today many cultural institutions advance Kwanzaa in recognition of diversity, but Mayes says too much commercialization of the holiday will cause it to lose its original purpose. December 23, 2010  Comments from Mississippi Gov. Haley Barbour that appeared to praise the work of so-called Citizens Councils are raising controversy. Many cite the Citizens Councils as racist organizations that fought against racial equality. 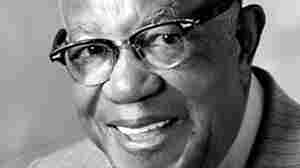 NPR's Audie Cornish talks to University of North Carolina journalism professor Hodding Carter III, who grew up in Mississippi, and whose father documented the rise of Citizens Councils. 2010 In Review: The Year for Latinos In The U.S.
December 23, 2010  For Latinos in the US, 2010 was a challenge. High school drop out rates did not improve, the economic crisis affected them deeply, and the Senate vote on the DREAM Act stumped hopes of immigration reform for undocumented young people. Columnist Esther Cepeda talks about what's changed for Latinos. Rooney Rule: Is It Working For Minority Coaches? December 22, 2010  Several NFL teams are in the market for new head coaches. The Dallas Cowboys, the Minnesota Vikings and the Denver Broncos have all fired their coaches recently. The Rooney Rule was put in place to encourage diversity in the coaching ranks, and requires teams to interview a minority candidate before making a head coach or management hire. December 20, 2010  A new study shows that most people who are biracial self-identify as "biracial." But in many instances, multi-ethnic Americans change the way they self-identify depending on who they're talking with. The study was published in December in Social Psychology Quarterly..
December 16, 2010  More than half of the country's 100 largest metropolitan areas have shown some decline in black-white segregation, according to new data by the U.S. Census Bureau and the Brookings Institution. The findings suggest that Milwaukee is the most segregated city in the U.S., when it comes to blacks and whites living together. Atlanta, on the other hand, has made significant strides in racial integration. Host Michel Martin talks to Bill Frey a demographer with the Brookings Institution, who studies urban areas and race. December 16, 2010  It is National Day of Reconciliation in South Africa, a public holiday created in 1994 after the end of apartheid to promote racial harmony and heal past divisions. But 16 years after the official end of apartheid, a new survey shows that there is still deep distrust between blacks and whites. Host Michel Martin discusses reconciliation and race relations in South Africa with Ferial Haffajee, editor of the weekly City Press newspaper and Jan Hofmeyr, who's with the Institute for Justice and Reconciliation. 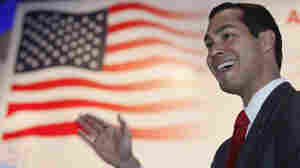 December 12, 2010  The mayor of San Antonio, Julian Castro, is young, photogenic, well-educated and barely speaks Spanish. He may very well be the model of a new kind of Latino leadership. December 12, 2010  Students and former officials are suing Maryland for not adequately funding the state's four historically black colleges and universities. The plaintiffs charge that the state has essentially maintained two separate systems of higher education, and has duplicated programs in order to make it easier for white students to avoid attending black universities.